From Denmark, it is extremely convenient to take a cruise from Cape Liberty, rather than Miami or Fort Lauterdal, as there are direct flights from Copenhagen (CPH) to Newark (EWR). You need to fly into Newark no later than the day before the cruise and spend the night at an airport hotel, for then take a shuttle or taxi from the airport or hotel to Cape Liberty Cruise Ship Terminal at 10 am - personally I think that at 11 am is a good time to arrive at the terminal. 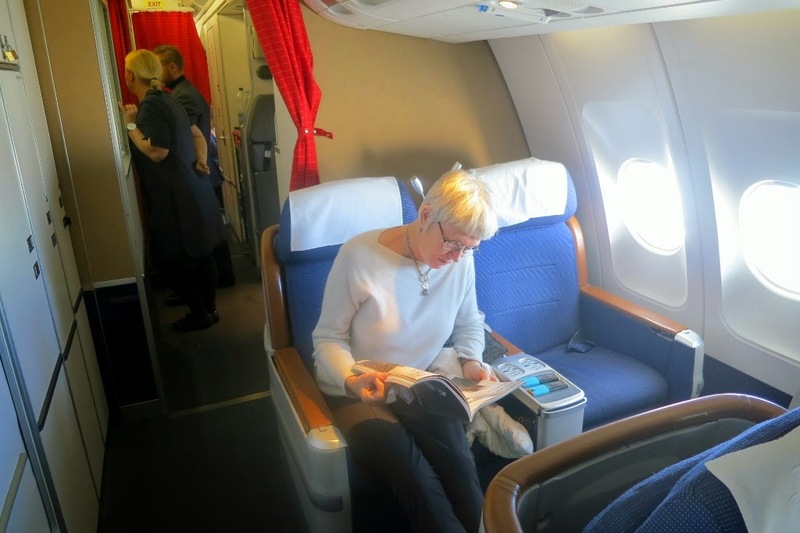 Below a short video from our SK909 flight - we got an upgrade to Business Class using Eurobonus Air Miles.